Let me introduce to you a new terrain mod, that gives to your dirt neighborhoods a new rural look. 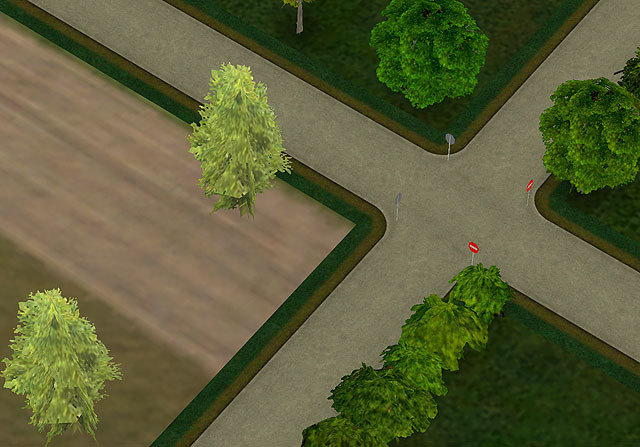 This mod replaces standart dirt terrain/road textures with dark green grass texture for terrain and bright concrete road texture for the road. To install this mod, just put all .package files from the archive to your downloads directory. 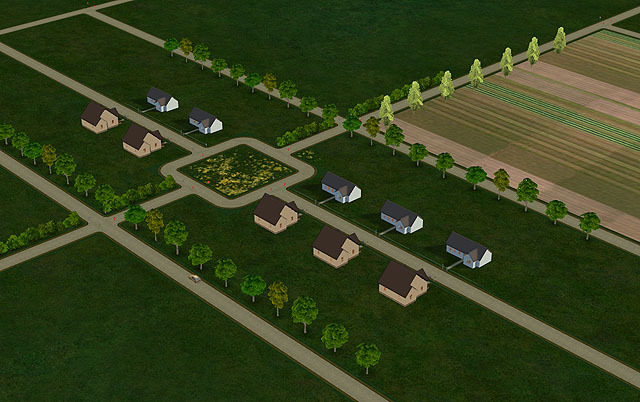 After this, your dirt terrain neighborhoods will have a new look. To have a standart dirt terrain back - just delete these files from your downloads directory. To replace a standart lot road floor tiles you must enter a 'moveobjects on' code. This mod is not compatible with any terrain/road mod that affects standart dirt terrain or roads. So incase of using this mod, delete another mod that replaces dirt terrain textures with custom ones. 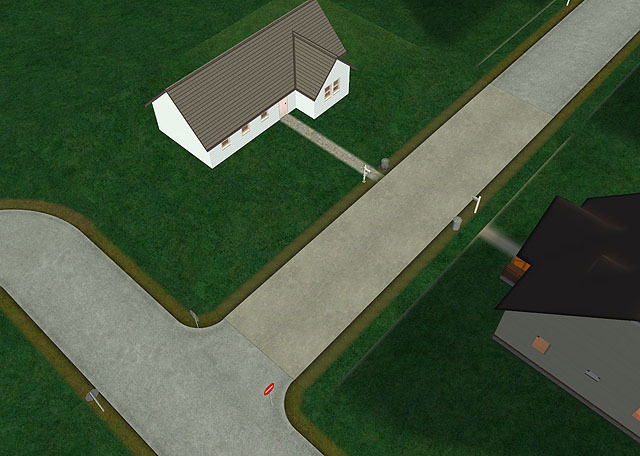 there can be a problem with driveway when you replace standart lot road floor tiles with custom ones - a driveway will not fit the road and you will not able to rotate it. 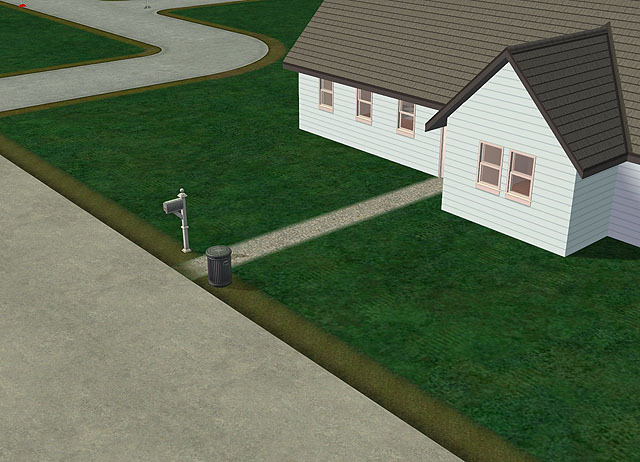 So if you want your sim to have a car, place the driveway first, and then replace the road texture floor tiles with a matching ones. This mod is based on a Stev84's Terrain Mod: Victorian Cobble Streets for Grass Neighbourhoods and was uploaded with his permission.